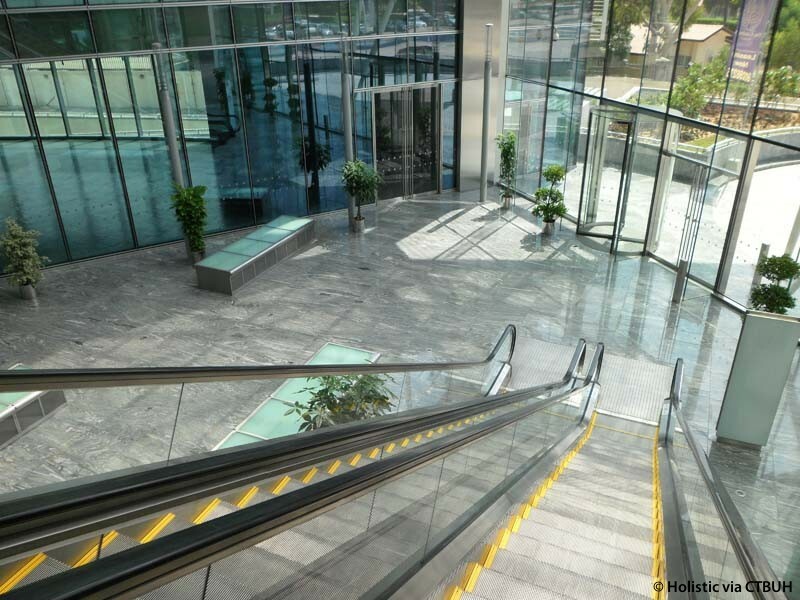 Main Contractor Al Habtoor Engineering Enterprises;	Consolidated Contractors International Company S.A.L. 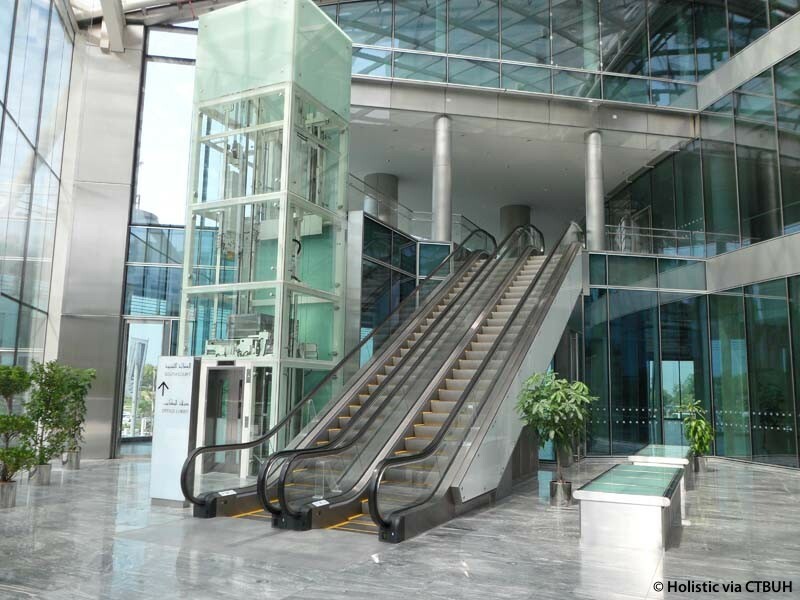 • Vertical Transportation	 Hilson Moran Partnership Ltd.
• Façade Maintenance Equipment	 Secalt S.A. 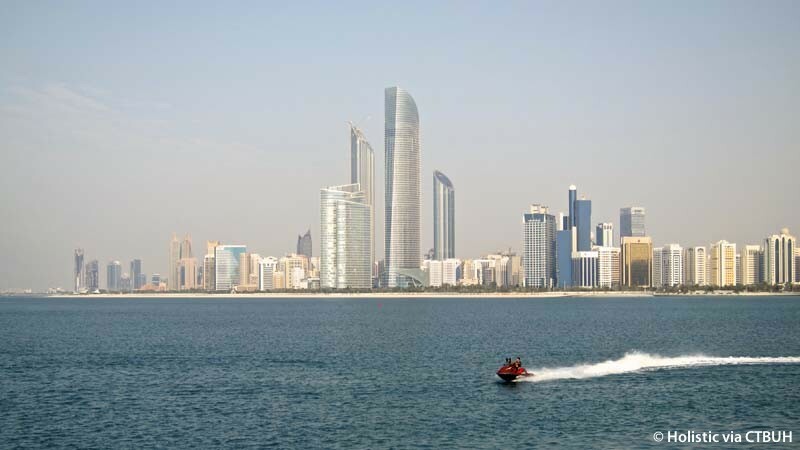 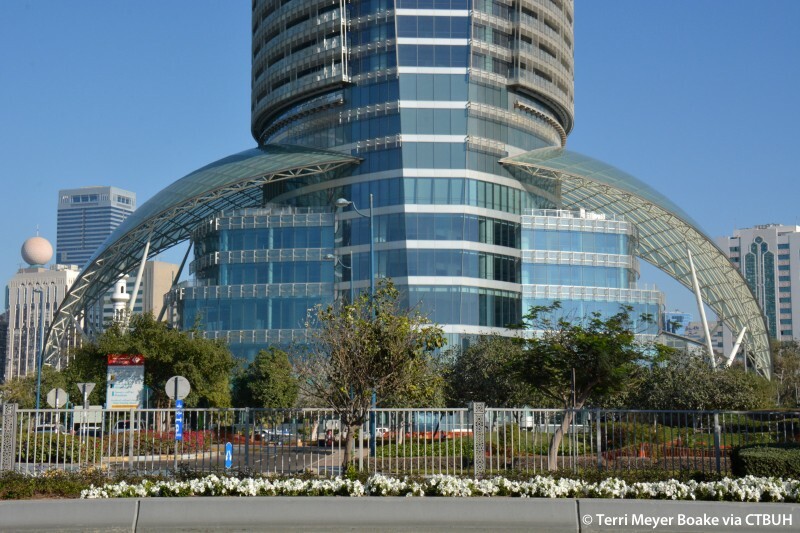 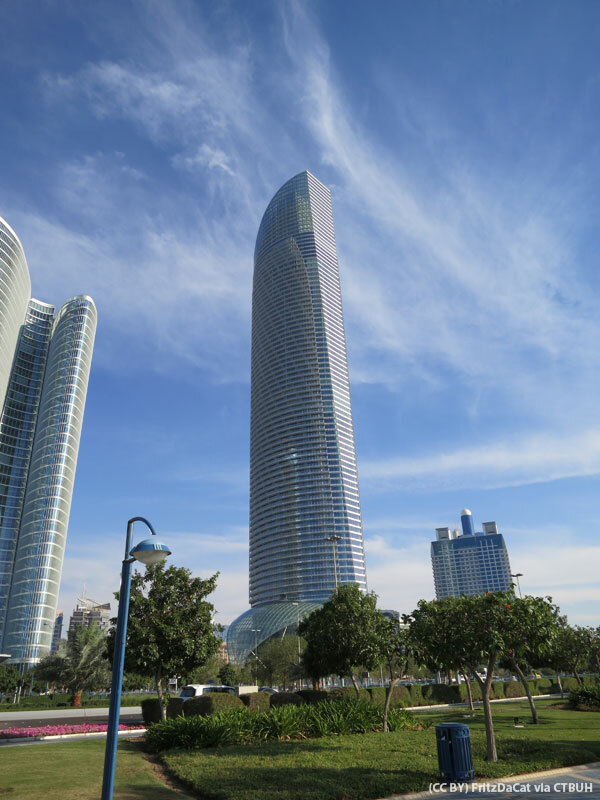 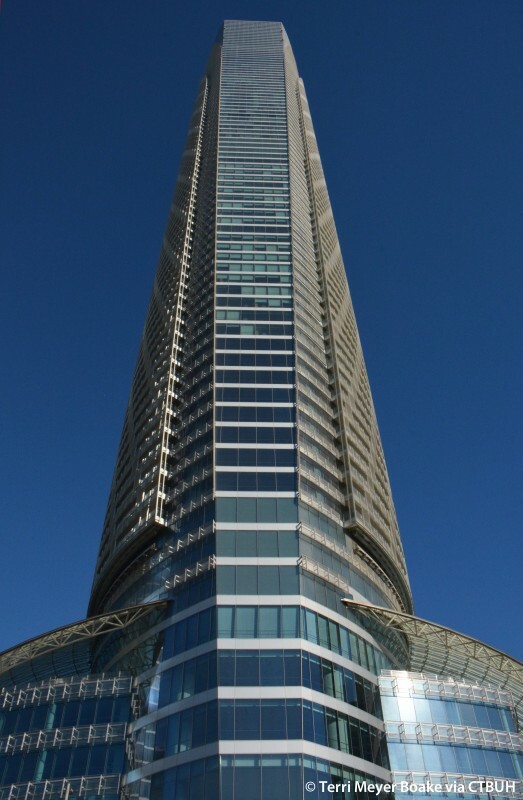 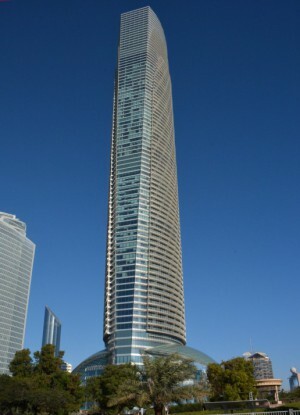 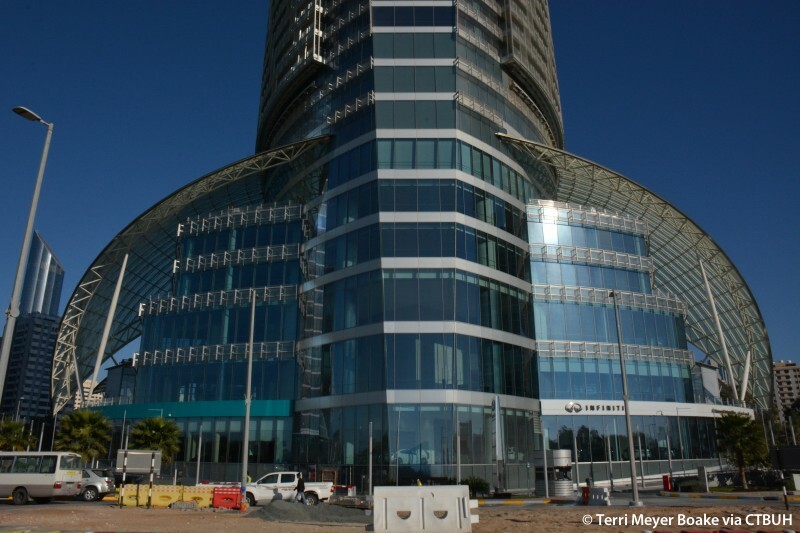 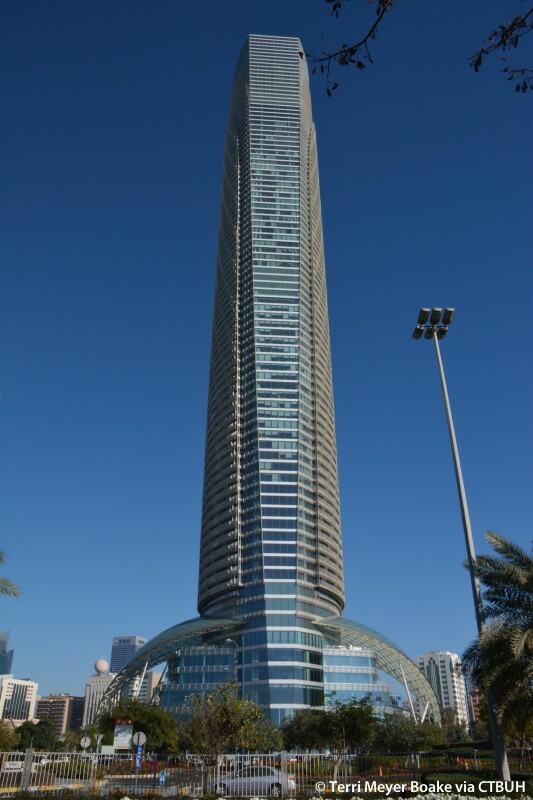 The Landmark is a office and residential tower on the Corniche, Abu Dhabi’s grand waterfront crescent. 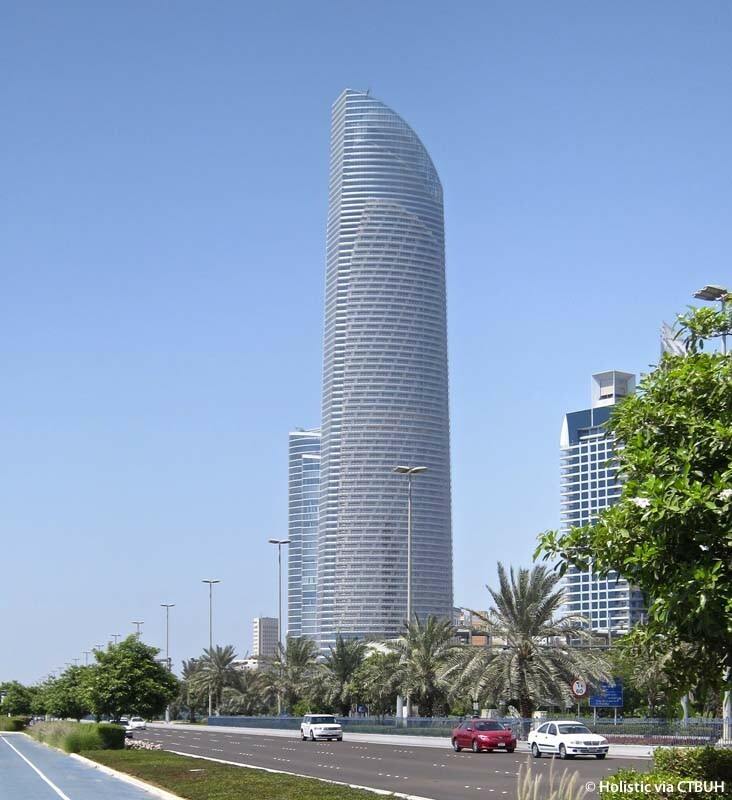 Standing apart from the city’s other tall buildings, the tower is visible on all sides and has panoramic views of the Persian Gulf and the surrounding islands. 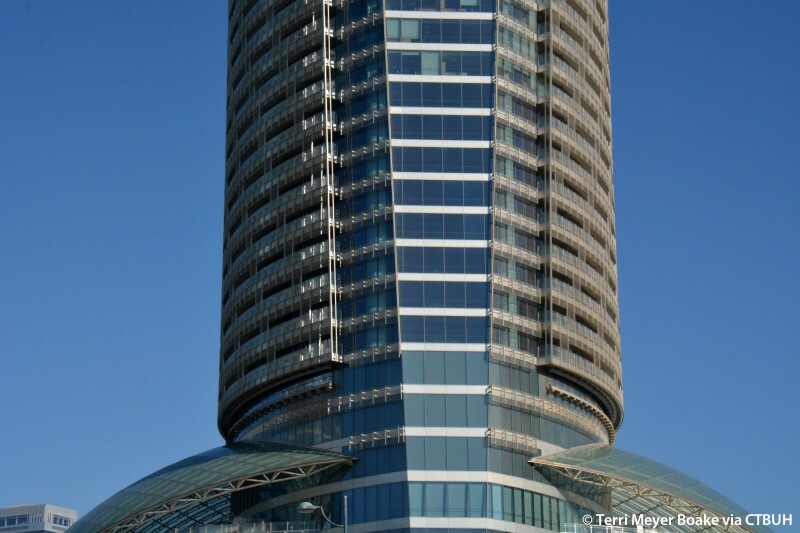 The Landmark’s design — the winner of an international competition — uses local precedents to be environmentally sustainable and culturally sensitive. 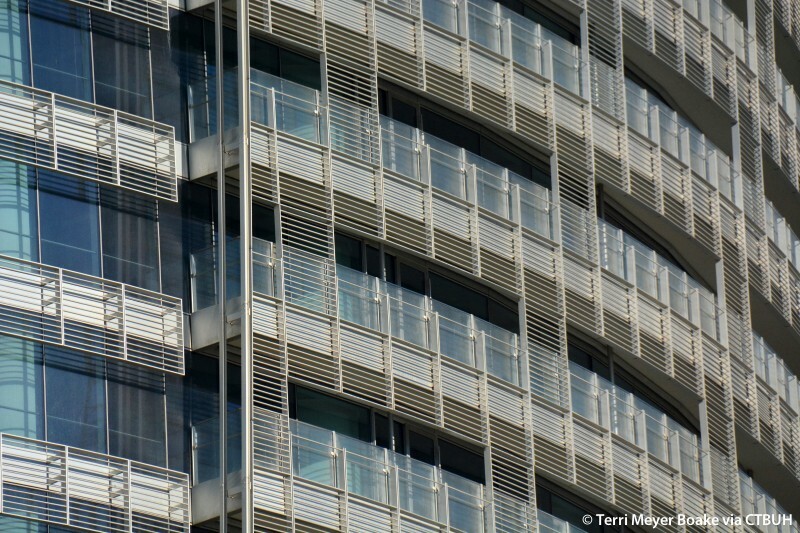 To address the challenging desert weather conditions, the Landmark was conceived as a series of layered screens, which form a protective wrapper extending from the building’s conditioned envelope. 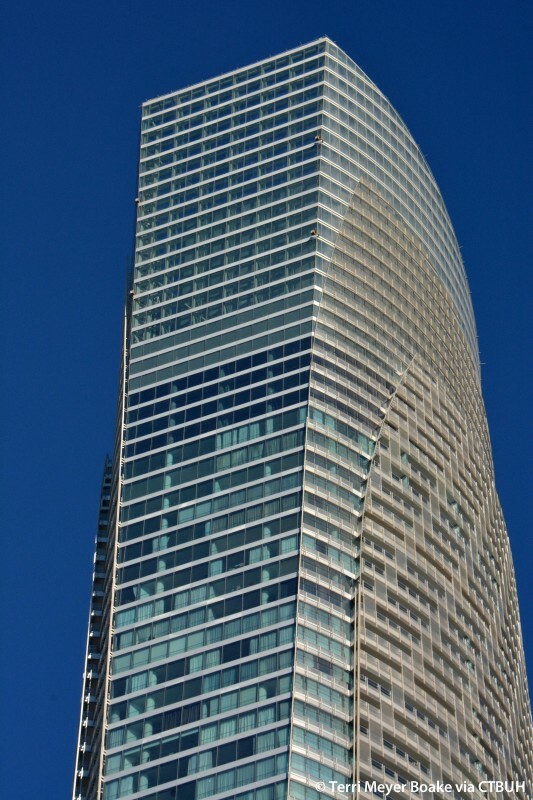 While the building is contemporary in appearance, this approach evokes the use of screens in vernacular Arabic architecture. 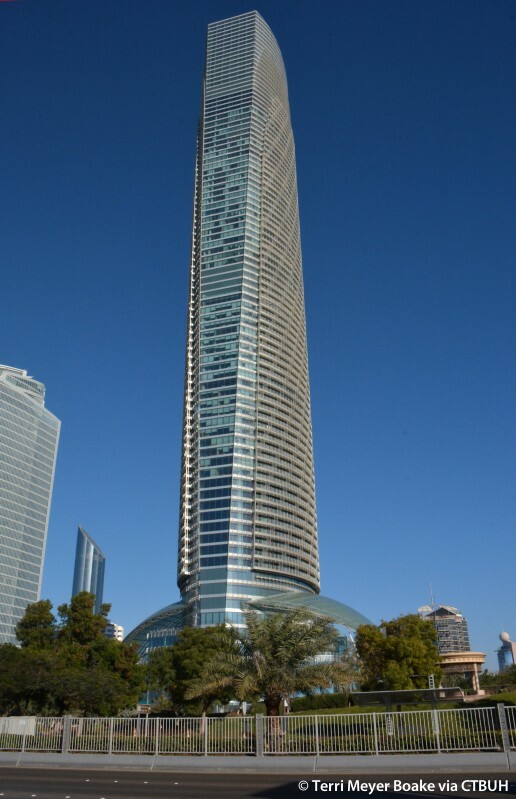 The plan of the building also has a cultural precedent. 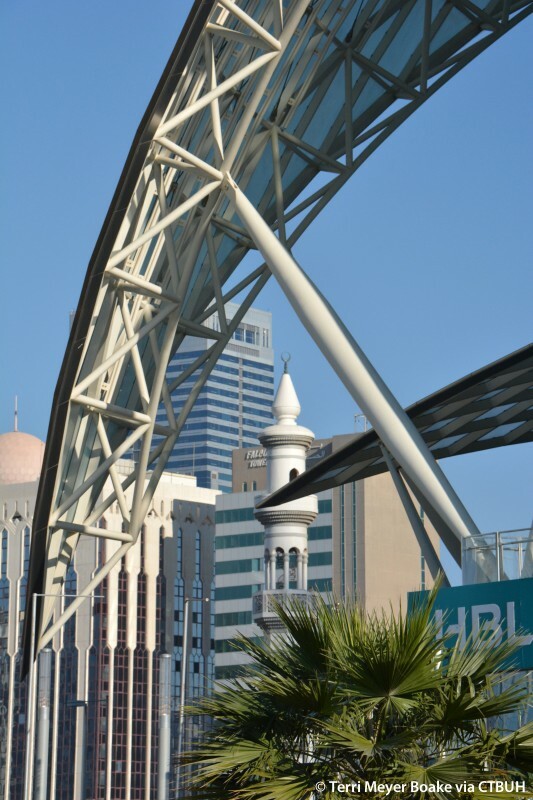 Its geometry is based on the dodecagon, the 12-sided figure frequently used in Islamic art. 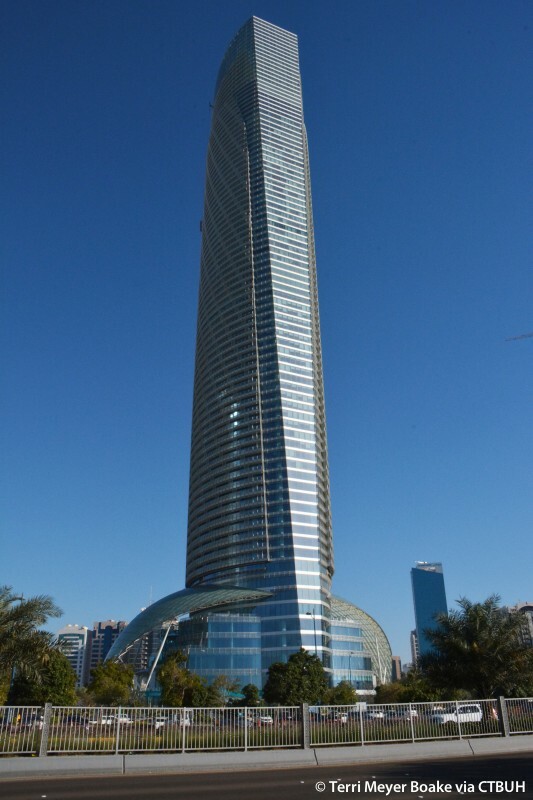 The tower top, which hosts a substantial sky garden, uses the temperature gradient and higher wind speed to reduce the need for cooling, a traditional practice in the Gulf region.